Air conditioning is a necessity for most people, particularly for those living in humid conditions of the Deep South or the sweltering heat of the deserts of the Southwest. Air conditioners are of two types: wall mounted or window type units and whole house units or central air conditioning systems. While both types of air conditioners bring down the room temperature, cool and dehumidify the air, they vary in the extent of power requirements and the degree of cooling effect. Air conditioning equipment consists of several components such as compressors, heat pumps, fans, fan motors and coolant circulation system. Air conditioning is a complex process in which hot and humid air drawn from the atmosphere is subjected to a series of processes designed to cool the hot air and eliminate most of the dampness from it. It is then forced into the house through an outlet vent reducing the surrounding temperature. All air conditioning appliances need a coolant, external ventilation and electricity. Earlier, carcinogenic and environmentally harmful CFC s was used as coolant gas. However, at present several other substances are used as coolant. Whether a window type or wall mounted or a split air conditioner, it is a single air conditioning system. This type of air conditioner can be permanently installed in the room through an opening in the wall or placed in a window. The ventilation and cooling systems are assembled within the unit. Though the electrical installation of air conditioning equipment depends on how many BTUs the unit requires for efficient operation, most of the units normally consume 900 watts per kWh. Before purchasing window type units, it is essential to measure the area of the room to be cooled so that one can buy the right capacity equipment that can run efficiently without overworking. Pros & Cons window type units. Window units are normally portable equipments, though frequent shifting from place to place can damage the parts inside the units. When buying a window unit, one should select the proper size. If it is very small, it has to operate for long hours, resulting in increase of electricity bills. On the other hand, too large a unit will operate inefficiently and cooling will not be so effective. In addition, it can increase sticky dampness in the room. Wall mounted units are susceptible to dripping and leaks, particularly in extreme humid conditions. Moreover they make much more noise than central air conditioners. The operating expenses of window units are much lower if they are used in small areas and the thermostat is set to moderate temperature. Window units also cost less; as low as $300. This is bigger air conditioning equipment comprising a ‘condenser’, which is usually kept outside the house, a ‘blower fan’ and a ‘cooling coil system’. The hot air from the atmosphere is compressed, channeled into the fan and after cooled by the coils is allowed to expand through the air conditioning ducts into the house and the rooms, accordingly cooling and dehumidifying the air. If the house is not equipped with a ‘forced-air furnace’, the fans and cooling coils should be located in the roof space. The thermostat will monitor and adjust the temperature level in the house. A whole house air conditioning unit needs around 3500 watts of power per kWh. If a house is spacious with many rooms that require cooling, installation of a whole house air conditioning system is the best option. The installation costs of a central air conditioning system depends upon several factors, such as the region, type of the system and the extent of modification required in the house for installation. If the house is not provided with any duct network, installation costs will be very high. Whole house units dehumidify and maintain the temperature in the rooms at comfortable levels. A central air conditioning system eliminates all the irritants that normally occur when it is unbearably warm inside the house. One should select a unit that has high energy efficiency rating. You can ensure that electricity bills in each type of air conditioning unit are kept at acceptable levels by taking certain precautions. Set the temperature at 78° F as any temperature below this level will steeply increase power consumption, as much as 4%. When not in the room or house raise the temperature level to 80° F or even more. Set the blower fan at a lower temperature to facilitate better air circulation. Insulate the home properly, especially the area directly facing the sun so that the room temperature is maintained at a uniform level throughout the year. 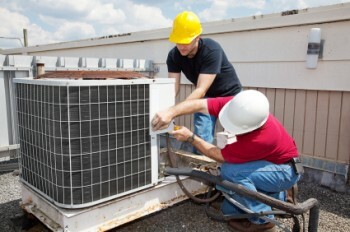 In addition to these steps, regular maintenance of air conditioners is essential. These jobs include replacing filters, cleaning ducts, inlets and outlets often to prevent clogs and checking coolant level from time to time. The number of rooms in the house that require air conditioning and the installation budget are the two major factors that determine whether to install a window type unit or a central air conditioning system or a combination of both. Irrespective of which type of air conditioning system one opts for, it is important to set the thermostat at a desired level and maintain it properly to obtain maximum cooling efficiency.